The date is 25 August 2000. As Real Madrid and Galatasaray prepared to square off for the UEFA Super Cup crown in Monaco, the eyes of the footballing world are rested squarely on one man. Newly anointed as the world’s most expensive player after a controversial transfer to Los Merengues from rivals Barcelona, Portuguese icon Luís Figo was set to pull on the famous white of Real for the first time. The winger’s debut added intrigue and excitement to the showpiece event. The dust had finally settled on a protracted, acrimonious transfer saga and, with Figo’s status as a Real player finally confirmed, the stage was set for display of footballing wizardry befitting of his hefty price tag. It was time for the world to see why Real had parted with an earth-shattering fee to get their man. Instead, however, Figo’s thunder was stolen. The match was decided not by the magic of Real’s new number 10, but rather the ruthless, predatory finishing of another new signing – Galatasaray’s 26-year-old Brazilian Mário Jardel. Nervelessly dispatching a first half penalty past Iker Casillas, the striker’s golden goal – an instinctive first-time strike from a Fatih Akyel cross – then sealed an unexpected victory for his new club. Jardel’s double took his tally in his first four games at Galatasaray to an astonishing 10 goals. 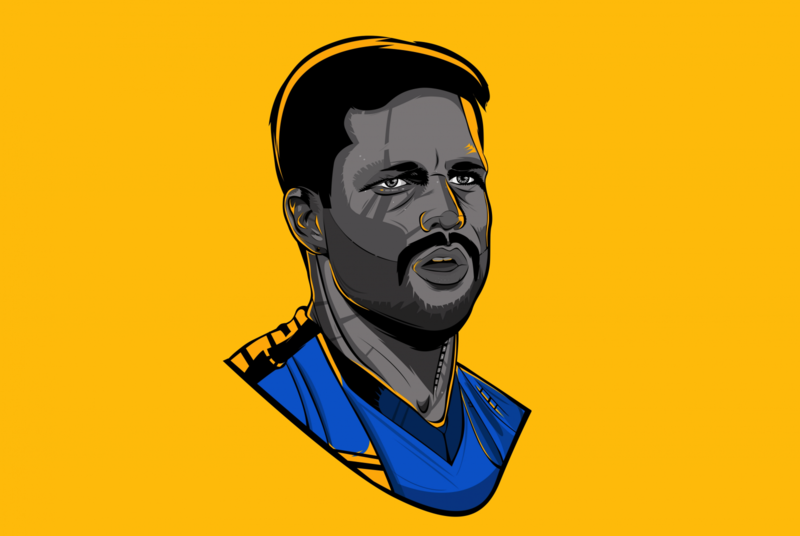 Jardel’s singlehanded dispatching of the European champions should have come as little surprise; the predatory instincts he displayed against Real were a mere snapshot of the skill that had seen him amass an astounding goal tally in his career up to that point with Vasco da Gama, Grêmio and Porto. His performance was nevertheless an illustration of the talismanic forward’s ability to go head-to-head with Europe’s finest and come out on top. Turkish Deputy Prime Minister Mesut Yılmaz, while admittedly not the most impartial observer, may not have been far from the truth when he declared Galatasaray’s new signing to be among the world’s four best footballers at that time. With Jardel having finished as the top goalscorer in Europe for each of the previous two seasons, only missing out on the 1999/2000 Golden Boot due to Portugal’s inferior coefficient, he was certainly one of its most prolific strikers. At that stage, the totemic attacker was already well on his way to 200 club career goals, and at the age of 26 seemed to have his best years ahead of him. It was surely only a matter of time, it seemed, before Jardel found a club among Europe’s elite to match his impeccable goalscoring pedigree. Instead, what followed was a sorry tale of collapsed transfers, a failed marriage, disciplinary issues, and continual ostracism from the national team. Jardel’s sorry fall from grace – by his own admission – in the midst of a miserable spell at Australian club Newcastle Jets in 2008, had been catalysed by a destructive dependency on cocaine. Overweight, unfit and out of touch, the 35-year-old Jardel – resembling little more than a bloated parody of his former self – cut a tragic figure at Newcastle. It had been an inglorious decline for a striker who, in his pomp, was up there with the most lethal forwards in Europe – his time in Portugal, with Porto and then Sporting CP, reaped a scarcely believable 233 goals in just 231 games. At Galatasaray, despite various issues adjusting to Turkish life and well-documented problems with the club’s hierarchy, Jardel still plundered 34 goals in his solitary season there. 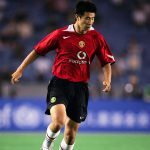 Such phenomenal statistics are a sobering reminder of what might have been for the talented striker, whose career suffered some high-profile misfortunes at crucial times, among them Inter’s decision to sign Hakan Şükür instead of him in 2000, a host of other failed transfers to big European teams, and the continued reticence of Brazil coaches to select him for the national team over the likes of Ronaldo and Romário. These near misses meant that the career of one of Europe’s leading goalscorers never scaled the heights it seemed destined to. Jardel at his peak was a force of nature. His finishing ability requires little exposition; the incredible amount of goals he chalked up in Brazil, Portugal and Turkey speaks for itself. An out-and-out striker, the Brazilian hit the 30-goal mark in each of his first six seasons in Europe. Perhaps due to his stunning goalscoring record, Jardel was often unfairly pigeonholed as an opportunistic striker who contributed little other than finishing moves. In fact, the Brazilian was not merely a poacher in the mould of other prolific goalscorers of the time like Ruud van Nistelrooy or Filippo Inzaghi as a perusal of his goals in Portugal and Turkey reveals a back catalogue stunning for its variety. From a searing left-footed volley into the top corner of the net from 25 yards to numerous calm, precise finishes, to the rake of bullet headers that became his trademark, Jardel boasted a diverse and daunting range of finishing qualities. At Porto, Jardel was a phenomenon. He already boasted an enviable goal haul from his time in Brazil with Vasco and Grêmio, but he had few problems adjusting to the rigours of the Portuguese league and his first two seasons at Porto reaped a handsome 74 goals, 37 in each. Scepticism about Jardel’s ability due to familiar qualms with the quality of opposition in Portugal was also addressed by the Brazilian’s prolific record in European competition: Barcelona and Bayern Munich both fell victim to Jardel goals in the Champions League, courtesy of his signature bullet header. The 1999/2000 season was Jardel’s most successful at Porto, reaping an amazing 54 goals in just 49 games. His prowess showed little sign of abating, but the club’s talisman had become restless. Maybe he was aggrieved at not being afforded the chance to replicate his club success at international level as, despite cutting a swathe through the Portuguese league and establishing his name as a fearsome striker in Europe, Jardel had continually been overlooked for the Seleção, with more familiar names like Romário and Rivaldo preferred as foils for the darling of Brazilian football, Ronaldo. Furthermore, despite finishing as the highest scorer in Europe for the second successive season, Jardel missed out on the European Golden Boot to Kevin Phillips after the Sunderland striker, despite scoring eight fewer goals, profited from UEFA’s use of coefficients based on league standards to determine the winner. Portugal, it seemed, was hindering the talented striker’s ability to win the plaudits and recognition he felt he deserved. For Porto’s hero, it was time for a change. In the summer of 2000, Jardel was at a crossroads. Fresh from the most prolific season in his career to date, and well-established as one of the most potent strikers in Europe, the Brazilian was angling for a move to bolster his reputation and finally break into the national team. One suitor in particular seemed keen: Internazionale. Desperate to claw their way back to the summit of the Italian game, Inter aimed to sign a marquee forward to supplement their attack while Ronaldo’s long rehabilitation continued, and Jardel had reportedly caught their attention. It was to prove one of the many near-misses of Jardel’s career; the Nerazzurri ultimately opted to sign Hakan Şükür, the man who had fired Galatasaray to the UEFA Cup title, and the Brazilian’s prospect of a big-money move to Italy diminished. Instead, Jardel was signed as Şükür’s replacement in Turkey. Arriving at his lavish signing ceremony in a white limousine, Jardel declared his ambition to prove himself in a big European league as a key reason for the transfer. Galatasaray were certainly no pushovers: featuring luminaries such as Gheorghe Hagi and Gheorghe Popescu, in addition to exciting new talents like Emre Belözoğlu and Okan Buruk, they had experienced success both domestically and in Europe in recent seasons under Fatih Terim. If Jardel was hoping to demonstrate his ability to succeed in a more competitive league, though, Turkey was a far cry from the illustrious environs of England, Italy and Spain. Jardel’s spell in Turkey began in typically bombastic fashion with a stunning five-goal haul in his debut for the club. However, his time at Galatasaray was to prove turbulent and ultimately brief. Despite recording 34 goals in all competitions, he quickly grew disillusioned with life at the club and began to set his sights on a future elsewhere. Tantalisingly, the prospect of a transfer to Inter was to once again rear its head. In the midst of a disastrous campaign that had seen both Marcello Lippi and Marco Tardelli flounder at the helm, the club set their sights on an extensive restructuring; in March, it was announced that Emre Belözoğlu and Okan Buruk – two of Galatasaray’s star players – would be joining Inter in the summer, raising speculation that the club was also targeting former Galatasaray manager Terim to spearhead their revival. With Şükür enduring a torrid time in Milan, it seemed that Inter would also soon be in the market for a striker. Their new flirtation with the architects of Galatasaray’s success suggested that Jardel could be next on their list. Heartbreakingly for Jardel, though, the move failed to transpire for the second time. Terim did move to Milan but it was not to coach Inter; instead, he was unveiled as the manager of their cross-city rivals, and Inter opted to appoint former Valencia coach Héctor Cúper. There was no room for Jardel in a bloated Inter forward line that now included young prospect Mohamed Kallon, and he was instead forced to return to Portugal, where he signed for Porto’s rivals Sporting. The 2001/02 season saw Jardel at his peak, with the player almost single-handedly firing his new club to their first league title for two decades. He finished the season as the league’s top scorer, with twice as many goals as his nearest competitor – his final tally of 42 league strikes arriving in just 30 appearances. His 55 goals in all competitions represented the best return of his career. With a World Cup on the horizon and putative interest from Barcelona, it seemed like the talented striker was at last set to make his big breakthrough. But as it would transpire, everything was about to fall apart for Mário Jardel. One of the most unfortunate aspects of Jardel’s career was the fact that, despite his exemplary goalscoring record in Europe, he was rarely in contention for a starting place in his national team. He played for the Seleção just 10 times, recording a solitary goal. Jardel’s chances of a prolonged stint in the Brazil line-up were undoubtedly hindered by the prominence of outstanding Brazilian forwards at the time in the likes of Romário, Rivaldo, Ronaldo and later Ronaldinho, all of whom proved themselves consistently in top European leagues. Nevertheless, it always seemed peculiar that Jardel, a frequent winner of the Golden Boot in Europe, was so frequently overlooked. Some attributed it to the fact that successive Brazil coaches looked disapprovingly on his questionable temperament, while he was also scapegoated for having the misfortune to appear in the national team’s 2-0 humbling at the hands of minnows Honduras in the 2001 Copa América. Jardel had sought to prove his ability to succeed in a bigger European league by leaving Porto and signing for Galatasaray, a transfer he forecast would lead to him becoming the fulcrum of Luiz Felipe Scolari’s Brazil: “Scolari would probably create a strategy around me, and I would score many goals,” he confidently predicted. However, it never transpired, even with Ronaldo on the injury table. But when Scolari announced his squad for the competition, Jardel’s name was not in it. 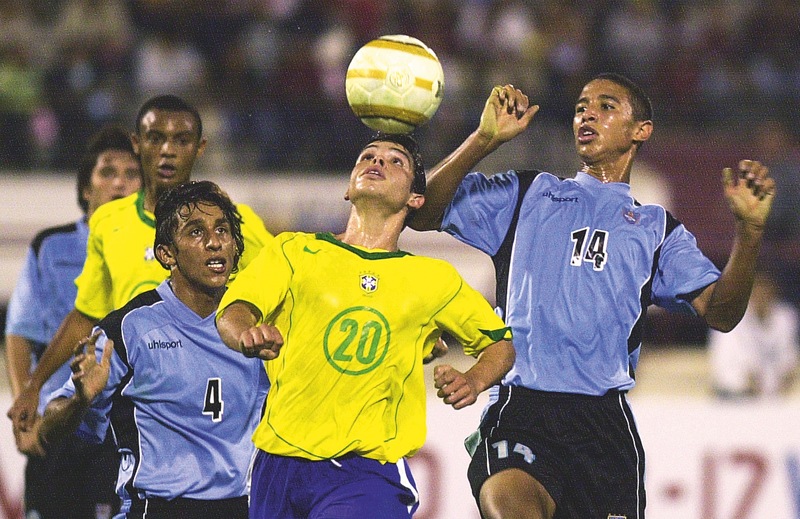 Edílson and Luizão, strikers with middling goal records, who played in Brazil, were both chosen in the squad over Europe’s leading goalscorer. Instead of leading the line for his country at the world’s most prestigious football competition, the winner of the European Golden Boot was a forlorn onlooker from his living room as Brazil stormed to the title, with compatriot Ronaldo grabbing the headlines – and a dream move to Real Madrid. The spurn seemed to have a profoundly devastating impact on Jardel, who was also dealing with the trauma of the collapse of his marriage. What more did he have to do to earn the recognition his goalscoring feats deserved? A prospective transfer to one of Europe’s big leagues once again failed to materialise, with both Barcelona and Real Betis baulking at Sporting’s £10m valuation of the player – a figure that now seems absurdly low for a player of Jardel’s reputation and goalscoring quality. Traumatised by the stasis in his career, Jardel fled Sporting entirely in September of 2002. “I never want to play for Sporting or in Portugal again,” he declared in a statement from Brazil. Sporting were initially sympathetic to the player’s fragile mental state, allowing him to stay temporarily in Brazil on the condition that they receive a medical certificate from Jardel each month, however they quickly lost patience when the certificates stopped arriving. When they responded by suspending his wages, the troubled striker requested the termination of his contract with the club on the grounds that he was not being paid. Personal troubles that had always bubbled below the surface were now boiling over with Jardel. He had always been well-known as a mercurial and unpredictable figure, but each of his clubs seemed happy to tolerate his demeanour as long as the goals kept coming. Elite clubs like Barcelona and Inter were unlikely to have been impressed by his difficult and often petulant nature, nor was Scolari likely to believe that Jardel’s goals in Portugal were worth the risk of upsetting the harmony and balance of his Brazil squads. Wage disputes had been a problem with Jardel before: he had gone on strike at Galatasaray when he wasn’t paid, and also threatened to sue Benfica – who had agreed to sign the striker from Galatasaray, only to cancel the deal due to a lack of funds – for failing to honour the pre-arrangement he had signed with them. In the summer of 2003, with Sporting eager to offload their fallen star, Jardel finally got his transfer to one of Europe’s big leagues. But his destination, Bolton Wanderers, was a far cry from the illustrious clubs that had toyed with the idea of signing Jardel while he was racking up Golden Boots and league titles. His slashed transfer fee, a paltry €1.5m, was a stark reflection of how far Jardel’s stock had plummeted in the space of little over a year. Bolton at the time was a popular destination for faded icons looking to resuscitate their careers as manager Sam Allardyce had managed to rejuvenate the likes of Jay-Jay Okocha, Iván Campo and Youri Djorkaeff, all of whom starred for Bolton after losing their lustre elsewhere. Jardel, though, was a lost cause. Struggling for fitness and form, the striker was a peripheral figure in his solitary season with the club. His year in England ended with just three goals for Bolton – two against Walsall and one against Liverpool in the League Cup. In the days when Internazionale fluttered their eyelashes at Jardel, few would have predicted the player’s Serie A debut going the way it did. Lining-up in 2003 for Ancona, the Brazilian cut a tragic, forlorn figure against Milan, a million miles from the sharpness of the past and facing the jeers of his own fans who labelled him ‘Lardel’ due to his much-publicised struggles for fitness and weight. He would barely last six months in Italy. Bloated, unfit and seemingly having lost interest in the game, the Jardel who traipsed in mediocrity through various obscure European leagues was a grim shadow of the razor-sharp striker who had blazed a trail across Europe with his goalscoring exploits six years previously. A career that had always seemed on the brink of exploding onto the world stage instead fizzled out. It had been a sorry spectacle to see a supremely gifted striker, who once appeared on the verge of greatness, reduced to a figure of ridicule, the target of clickbait headlines taking aim at his fitness issues and much-publicised personal and mental struggles. It would be a pity, not to mention an injustice, were Jardel to be remembered for his farcical stints at Bolton and various continental minnows, rather than as the lethal Golden Boot winner whose prolific goalscoring figures rival those of modern-day icons such as Lionel Messi and Cristiano Ronaldo. The real tragedy was that Jardel was never given the opportunity to showcase his gifts in one of Europe’s elite leagues until it was too late. 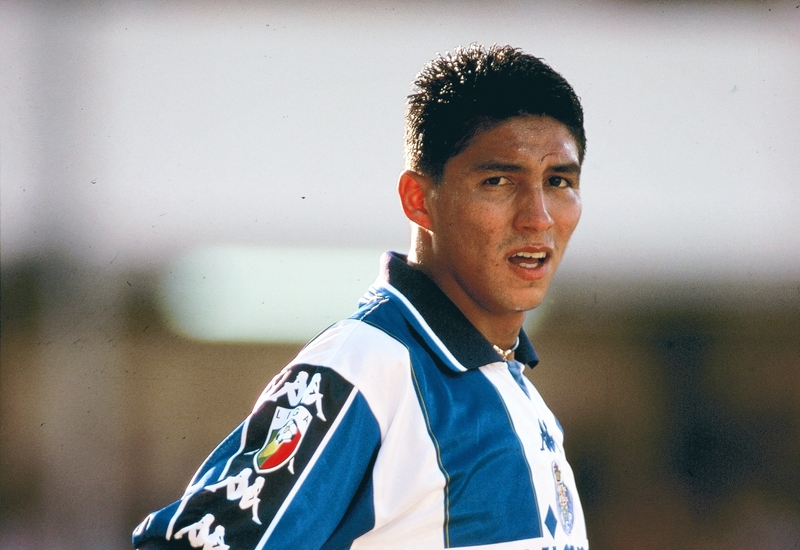 Remembering only the malaise that set in after 2002, some may deride the troubled striker as ‘Lardel’; for fans of Porto and Sporting, though, for whom the emblematic attacker enjoyed his best years, the skilful Brazilian will always be fondly remembered as Super Mario – a player who, at his peak, was an unstoppable goalscoring force of nature.